In its sixth year of generating real-time feedback to Big Game ads, The 3% Movement is now setting out to capture what that feedback suggests about brand purpose. Using sophisticated data analytics in partnership with Twitter and Sprinklr, a provider of enterprise social media marketing and management software, 3% will track response to ads, including whether purpose-driven campaigns ignite more response and sharing than standard brand messages. “In a year when Nike and Gillette have generated lots of conversation by going beyond ‘features and benefits’ advertising, our team is curious about how purpose-driven campaigns change the scale and sentiment of response to ads during the Big Game,” says Kat Gordon, founder and chief executive officer of The 3% Movement. Also read: The 3% Conference rises in Chicago. and many of those viewers are women. Even though many women are avid football fans, ads that have aired during the big game frequently objectified or omitted them all together. Over the last couple of years, occasional ads featuring women have delivered messaging that connected with female audiences. This is largely in part to more inclusive advertising teams, calls for change from consumers, and initiatives like 3%’s Tweet Up. In keeping with tenets of 3%’s Manbassadors consulting work, men are invited to participate with one key stipulation: to commit to amplifying the Tweets of women in addition to offering their own reactions. Men are Retweeted more often than women, and in an effort to seed this message early, 3% is hosting two of its official gatherings on campuses: at Northwestern University and The Creative Circus. This year’s presenting sponsor is Papa John’s, a brand that is committed to diversity and inclusion, as well as supporting the many female leaders who have championed its brand. provide pizza to all official Tweet Up locations. In-person events will be hosted by 3% team members in various locations across the country, including: Atlanta, Boston, Chicago, Los Angeles, New York City and San Francisco. The event hits more than 59 million impressions with participants across the country and globe using #3percentsb to get in on the conversation around ads that align with a cause and which ads feature an equitable and fair representation in casting. For more information about the 3% Big Game Tweet Up visit: 3percentmovement.com/tweetup. 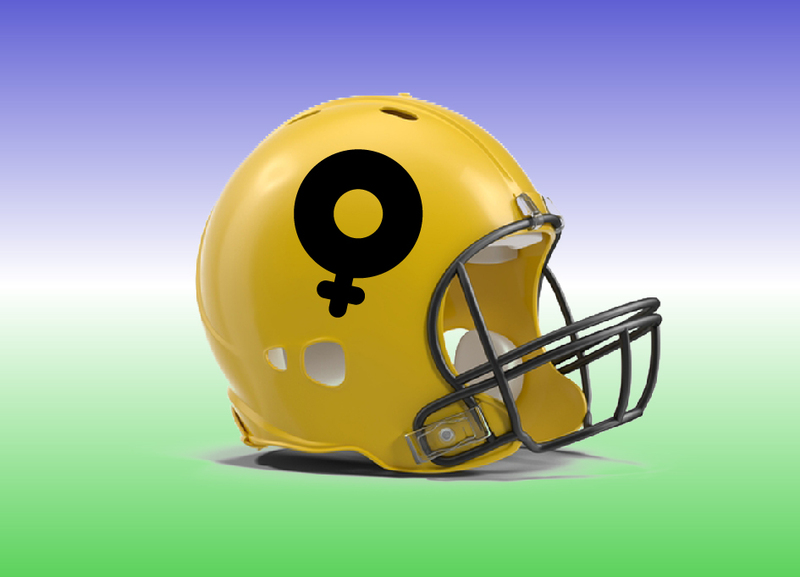 Football helmet image from pngtree.com. Started as a passion project to spotlight a huge business opportunity in advertising — the lack of female creative leadership and its impact on connecting with an overwhelmingly female marketplace — the 3% Movement has grown exponentially since its 2012 launch and has hosted events in 24 cities globally. Now moving beyond awareness to activation, the 3% team offers consulting services to support more diverse leadership and a 3% Certified program that awards those demonstrating true leadership around gender equality. For additional information about The 3% Movement, please visit: 3percentmovement.com. Headquartered in Louisville, Kentucky, Papa John’s International, Inc. is the world’s third-largest pizza delivery company. In 2018, consumers rated Papa John’s No. 1 in product and service quality among national pizza chains in the American Customer Satisfaction Index (ACSI). For 17 of the past 19 years, consumers have rated Papa John’s No. 1 in customer satisfaction among national pizza chains in the American Customer Satisfaction Index (ACSI). Twitter, Inc. is what’s happening in the world and what people are talking about right now. On Twitter, live comes to life as conversations unfold, showing you all sides of the story. From breaking news and entertainment to sports, politics and everyday interests, when things happen in the world, they happen first on Twitter. Twitter is available in more than 40 languages around the world. The service can be accessed at twitter.com, on a variety of mobile devices and via SMS. For more information, visit about.twitter.com or follow @twitter. For information on how to download the Twitter and Periscope apps, visit twitter.com/download and periscope.tv. Sprinklr is the world’s leading front office platform. Sprinklr’s vision is to be the world’s most loved enterprise software company and our mission is to enable every organization on the planet to make their customers happier. The Sprinklr Way – being customer obsessed, treating one another like family, and taking extreme pride in who we are and what we’re building – is what matters most to our company. Created for global organizations, we’re helping enterprises reduce silos across customer-facing departments by providing a unified platform of Social + Messaging, Digital and CXM capabilities. Headquartered in New York City, Sprinklr works with more than 1,000 of the world’s most valuable brands, including: Allstate, McDonald’s, Microsoft, Nike, NASA, Signify, Procter & Gamble, Samsung, Santander, Shell and Verizon. Sprinklr’s partners include Accenture, Deloitte, IBM, Microsoft, and SAP.